This is the musical that just won several Tony awards including Best Actor, Best Score and Best Musical. The New Yorker promoted it several weeks ago with a glowing review from Hilton Als and full-page photo of the play. Since I haven’t led her down too many wrong roads with regards to culture, she still considers my credit good. So she agreed. I wanted to get the tickets before the Tonys because I could see this musical had hitched its wagon to the right publicity machine and the momentum would probably win it several awards thus making it impossible to get tickets. The advertising photo is especially tantalizing, begging the question, are you going to miss out on this intimate experience? It took some doing but I finally found two seats together. And just like with Cabaret I immediately grew anxious. “Oh, what did I just do? Was it a mistake? 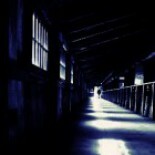 Was I swept up in the promise of an unforgettable evening?” It didn’t matter. The die had been cast. As the day approached the next important question was where do we go to eat? 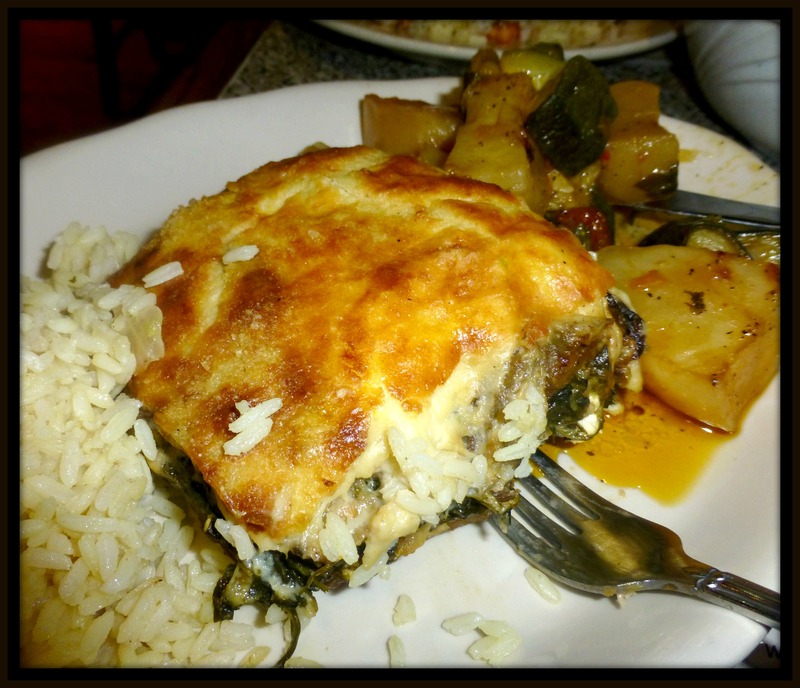 With help from menupages, yelp and other metropolitan websites we settled on Greek food. This tiny store front opens into a slender but deep restaurant. Family-owned friendliness greets us from the door and open grill area. Smells of grilled meat sizzling away fill the room. 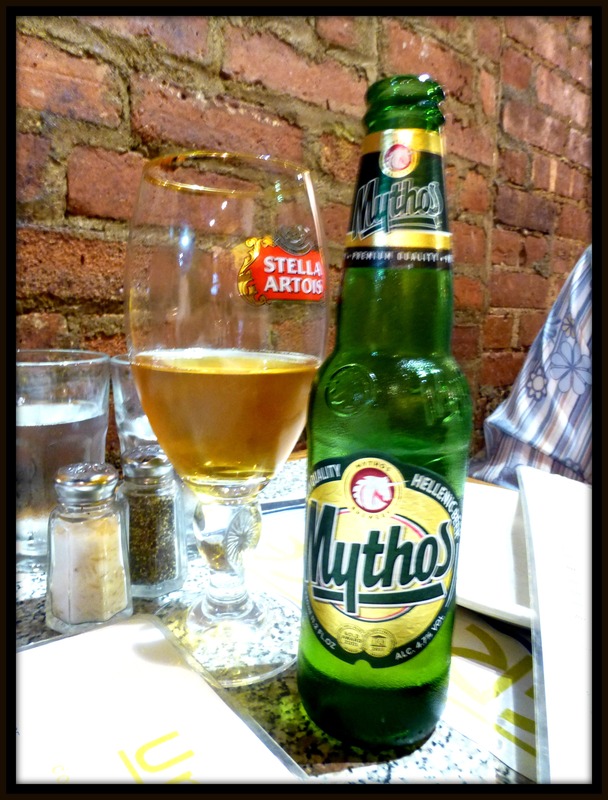 We start off with drinks’; White Sangria for my bride and Greece-bottled Mythos beer for me. We exhale slowly breathing out the last of our work day. It’s time for another NY evening to commence. The reviews all declare the grilled octopus a winner so who are we to argue? A succulent flavorful delight indeed. 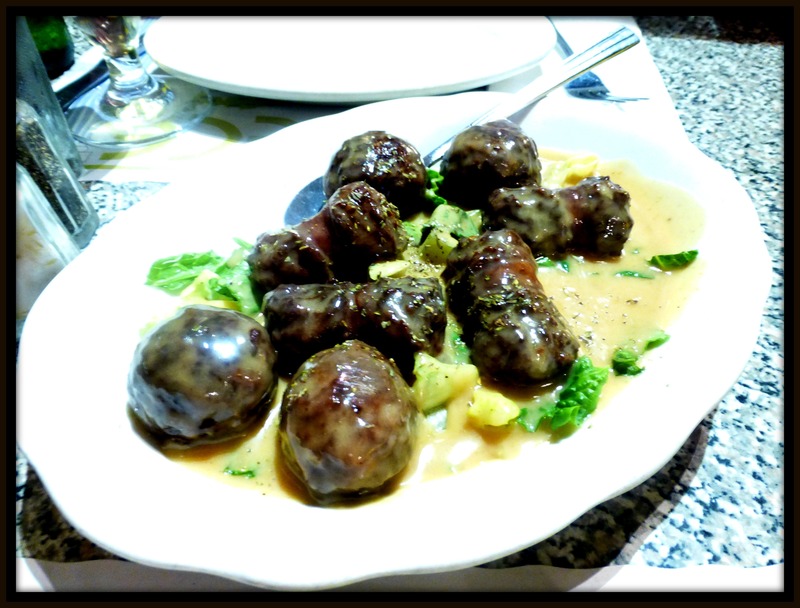 This delicacy is partnered with papa ponai, a mixture of Greek sausages and meatballs. Not too heavy and with just the right amount of bite. It reminds us of the Turkish place in our neighborhood. My bride cautions me against saying anything that may create cultural conflict. We always leave there full so there is room to be sensible tonight. 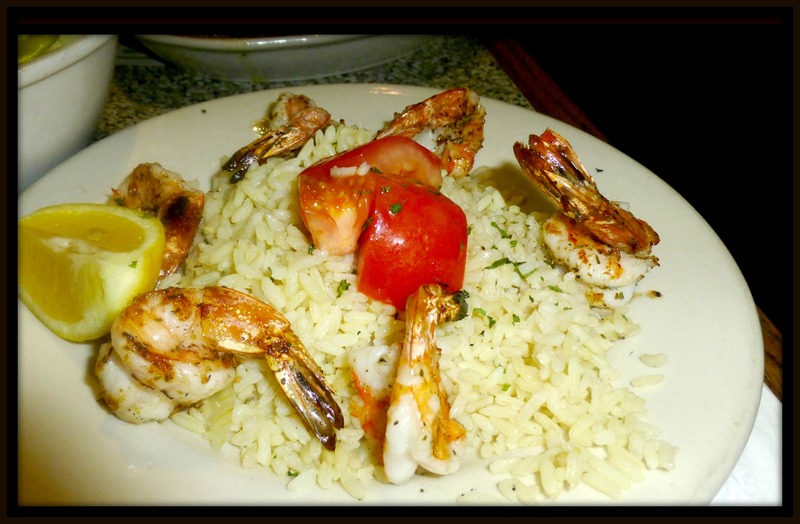 She orders a small Greek salad and grilled shrimp. My bride loves her shrimp! I select the vegetable mousaka. As soon as I saw mousaka in the menu I knew I had to have it. The best mousaka so far was at another Turkish restaurant, also in NYC, called Dervish. I still remember how it melted down my throat. Tonight’s mousaka is soft and heavenly layered. For dessert we share the baklava. She is already full but has a few bites. A little sweet, but still a formidable dessert. After all, they don’t have tiramisu, so this is hardly a consolation prize. We have been so fortunate in our restaurant choices. In a light rain we walk less than two blocks to the theater. I have never been to Circle in the Square. The set-up is just like the third act staging of New York Theatre Workshop’s Scenes From A Marriage. Stage in the center and seating all around. I now understand the intimacy explained in Als’ review. The closeness gives credence to this atypical musical. Fun Home knows what it wants to say and more importantly knows the tone it wishes to convey. It involves a family; a closeted husband, a cold wife and confused children, one of whom is slowly realizing her own sexual identity. Whether the daughter’s admission of her orientation caused the subsequent suicide of her father is a mystery the now adult daughter is trying to solve. The gamut of emotions is expressed in this fun, innocent, angry, confused, sad, romantic, playful, tragic and ultimately uplifting musical. And all in 100 minutes! This is due to composer Jeanine Tesori and writer Lisa Kron taking the graphic comic memoir of Alison Bechdel and synthesizing it for a live audience. Throughout this musical the production theme is: keep it simple. The songs are not huge show-stopping numbers but more like bursts of excitement and color. Shorter songs can also bridge the narrative with an emotional wallop. Eschewing subplots and extraneous supporting characters keeps the circle tight, locking the characters in and allowing them more development. The efficient running time helps a simple story stay true and guided. There’s no need to fill yourself up on snacks when the meal is substantial enough. Staging the musical from Off-Broadway to Broadway can be tricky, especially if the story is personal and thrives on drawing you into the small space. You would need a Broadway theater with a low ceiling and eye-level action, as if you were spying on the family. Director Sam Gold brings the musical down-to-earth. Even the orchestra is eye-level on the stage, following the action along with the audience. They play as if the welling of their own emotions elicits a response. Ultimately you don’t feel like you are spying on the Bechdel family. The experience is so welcoming you feel and react alongside the characters. The songs invite you to share in this special night. There isn’t wrong note in casting either, using veteran actors Judy Kuhn and Michael Cerveris as the parents to give the musical its grounding, and Beth Malone, Sydney Lucas and Emily Skeggs as the female “Alisons” of age development for delightful innocence. I want to call out the small Alison (Lucas) for mention because of her confidence mixed with genuine frailty. However, the other two Alisons also display memorable grit, bravery, exuberance and humanity. Even when one Alison is spot lit, another Alison remains onstage, in darkened form still exploring her character. Cerveris received a Tony for his performance and Kuhn might have had her own if Kelli O’Hara and Kristen Chenoweth weren’t also nominated. Cerveris playing the father and husband with a conflicted identity strikes an honest balance between sympathy and cowardice. It’s his character’s lack of bravery that makes you want to leap onto the stage and embrace him, hoping the warmth will bring his truth forward. We love this musical. So many powerful emotions encircle so much warmth. Like a carefully wrapped heart handed to each member of the audience. Go see Fun Home. Fill your soul. This entry was posted on June 25, 2015 by Andrew Davis in Theater and tagged Beth Malone, Broadway, Broadway Musical, fun home, Gay, Greek Restaurant, Growing Up, identity, lesbian, Lucas, New York City, Theater, tony awards, Uncle Nick's.